Location was perfect for everything we wanted to do. They could add shuttles to service customers better. The Staff was Great, Very Friendly! Excellent staff, large room with fantastic view of mountains. Vouchers each day were excellent. Great location. Beds a little worn. The hotel is beautiful. 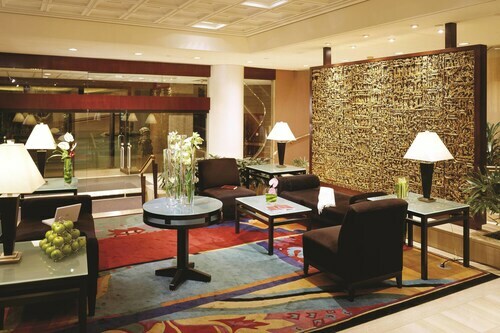 There’s luxury and comfort in the room, lobby and restaurants. Highly recommendable. Location is right in downtown, but right next to a busy street. Quite noisy at night. It's also close to bars, so walking at night around the area does not feel safe. The inside of the property is nicely renovated but the exterior is not very appealing. The swimming pool and hot tub are pretty tired looking, and the hot tub water was not clear. The desk staff were very helpful iin accommodating our request to be on the same floor as other family members. Close to Vancouver Art Gallery, Nordstrom, Pacific Centre, and business district. Vancouver Art Gallery is across the street and great shopping is a few minutes away. It is about 3 blocks from the Vancouver Art Gallery. Vancouver Art Gallery is located in a vibrant area of Granville Street known for its array of dining options and major shopping area. 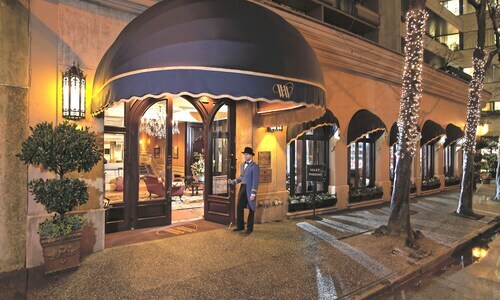 The neighborhood is home to 177 hotels and other accommodations, so you can find something that works for your stay. Now that you've visited Vancouver Art Gallery, you can discover the sights and attractions within a few miles of the area. You'll want to browse the collections at TELUS World of Science, Bill Reid Gallery of Northwest Coast Art, and Roedde House Museum. Some landmarks that you won't want to miss include Capilano Suspension Bridge, Harbour Centre, and Robson Square. You can check out the local talent at Orpheum Theater, Vancouver Playhouse, and Queen Elizabeth Theatre. BC Place Stadium and Canada Place are some sights worth a visit in the area. Rogers Arena is also located 0.6 mi (0.9 km) from Vancouver Art Gallery, and Robson Street is 0.6 mi (1 km) away. With so many transportation options, exploring the area around Vancouver Art Gallery is easy. 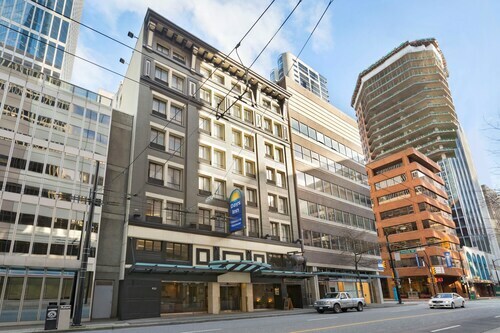 Walk to nearby metro stations like Vancouver City Center Station, Burrard Station, and Granville Station. To venture out into the surrounding area, hop on a train at Vancouver Waterfront Station. You can explore water transportation options at the local port.